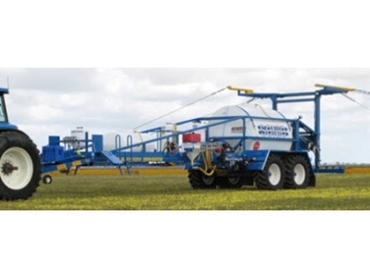 Now available from Sonic Boomsprays is the new model Ultra Sonic 10048TS tractor drawn boom spray. The 48.5 metre tractor drawn boom sprays feature a 40 litre fuel tank, load sharing suspension, 18 ton parabolic springs and 540/65 R 28 tractor tyres. They have a large 10,000 litre tank, with double suction filters and a 2 inch hydro pump. Contact Sonic Boomsprays for more information on its full range, including the new tractor drawn Ultra Sonic 10048TS model boom spray.